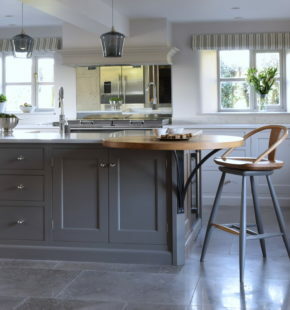 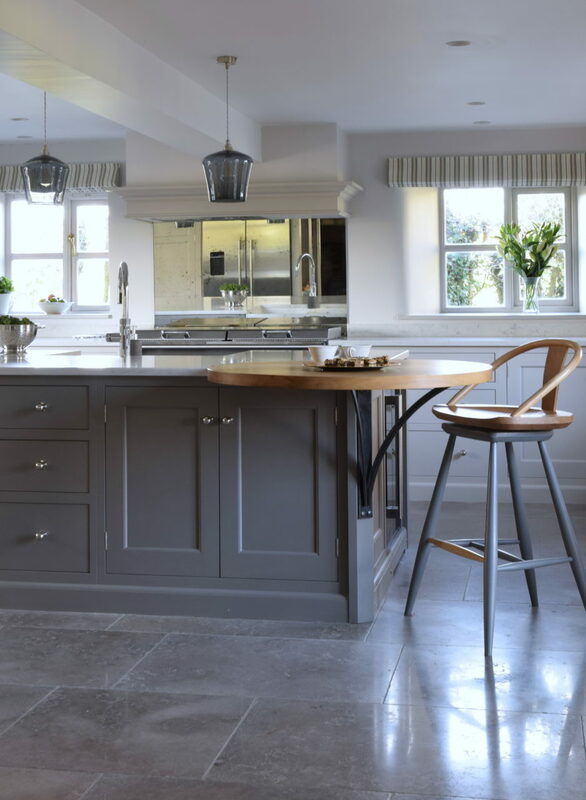 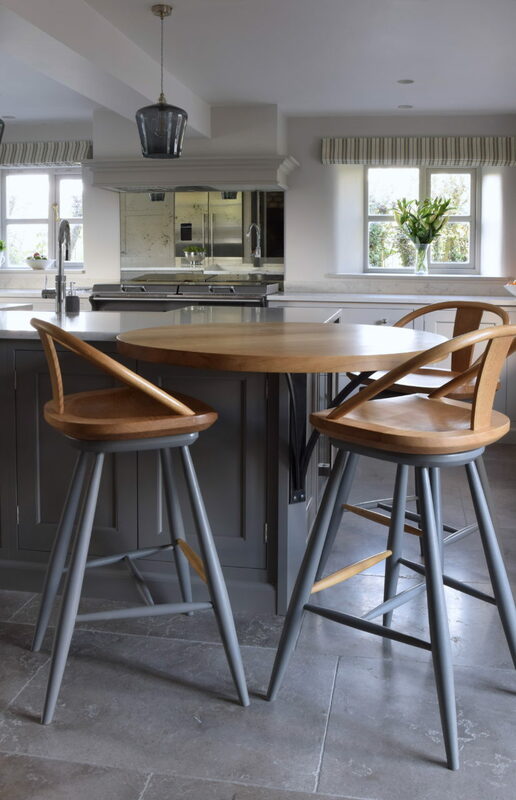 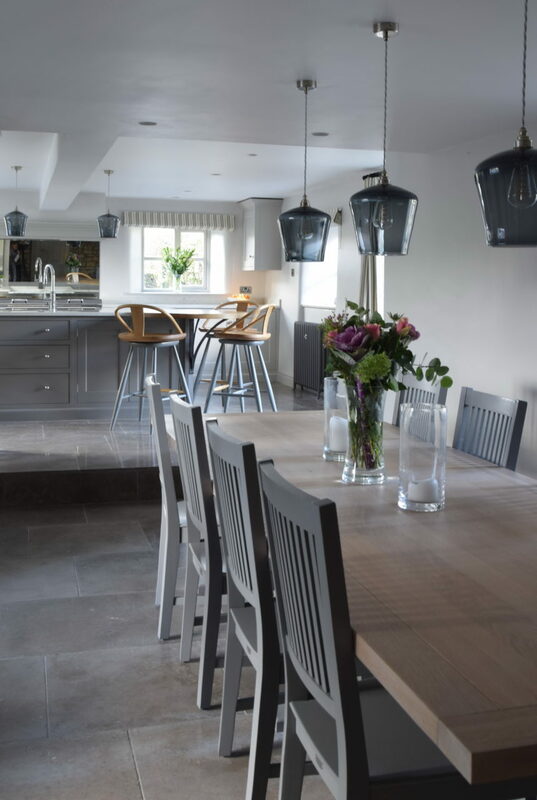 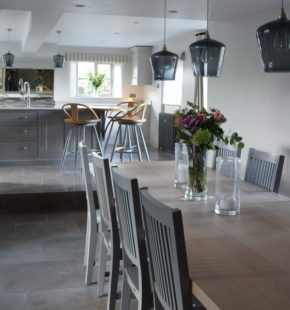 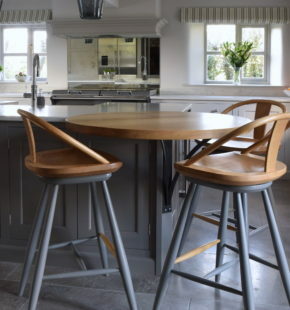 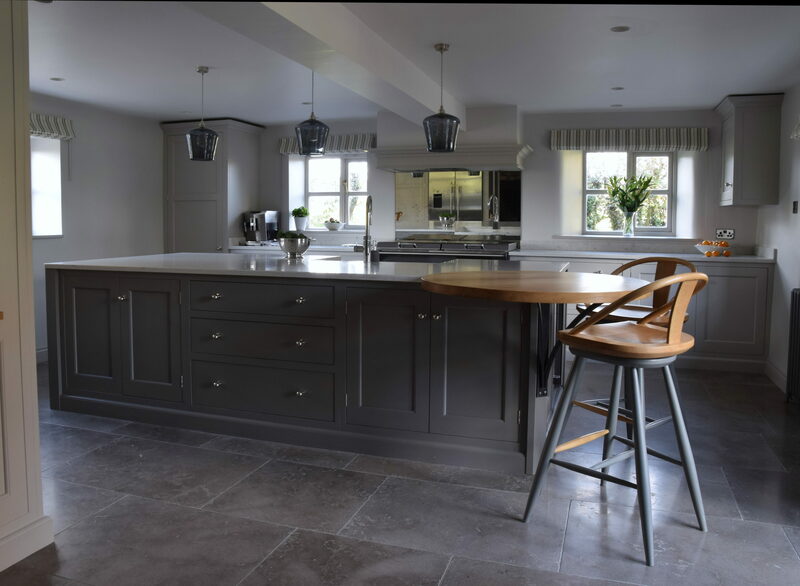 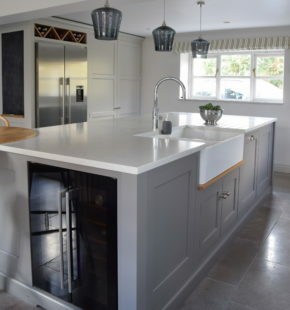 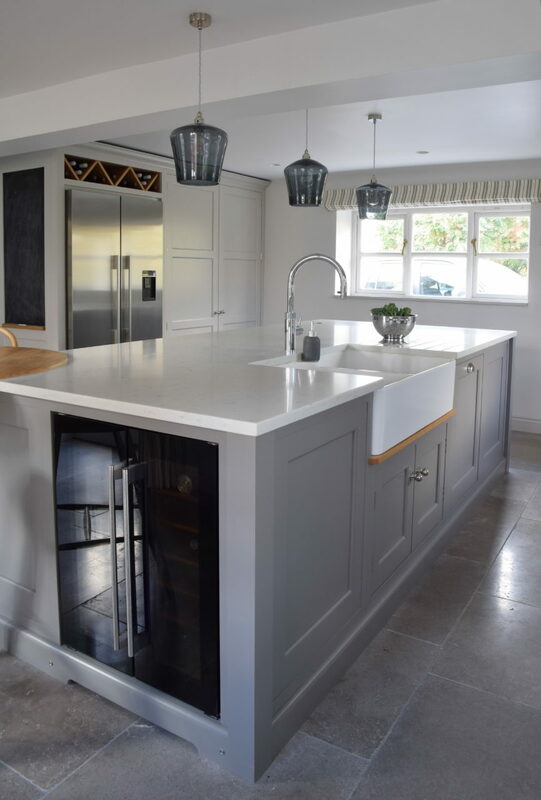 This kitchen is a very calm place to be, considering that three boys live here in this incredibly rural location in Dorset it is both immaculate and an oasis of tranquillity. 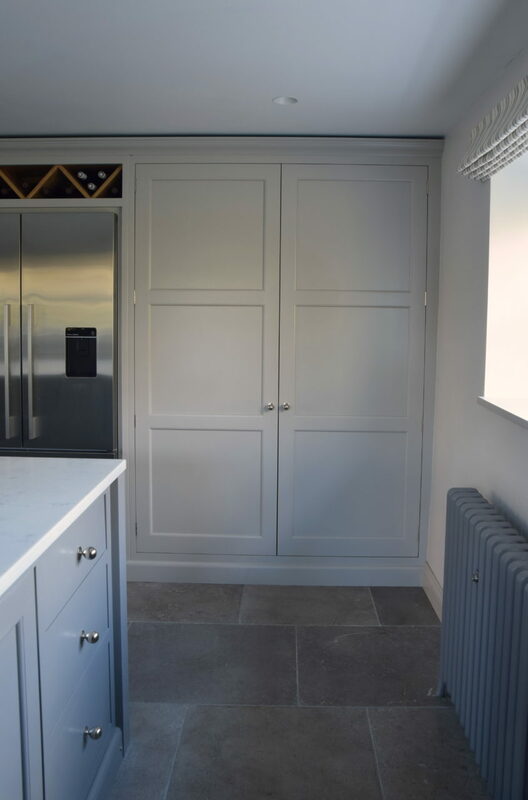 Very early on in the project Hannah helped the family to consider the colour options for the space, the clients were looking for soft neutral shades but with a notable colour difference on the island. 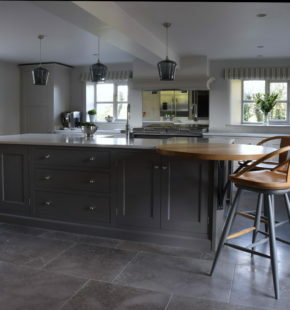 Farrow & Ball was the paint of choice and the main run of cabinets was in Purbeck Stone, the island in Mole’s Breath. 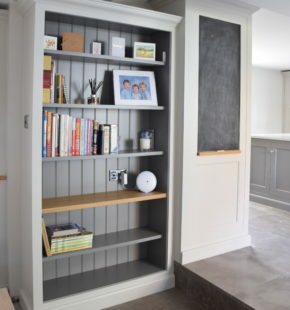 In order to create a break between the kitchen and the dining area the bookcase was painted in Ammonite with Mole’s Breath interior. 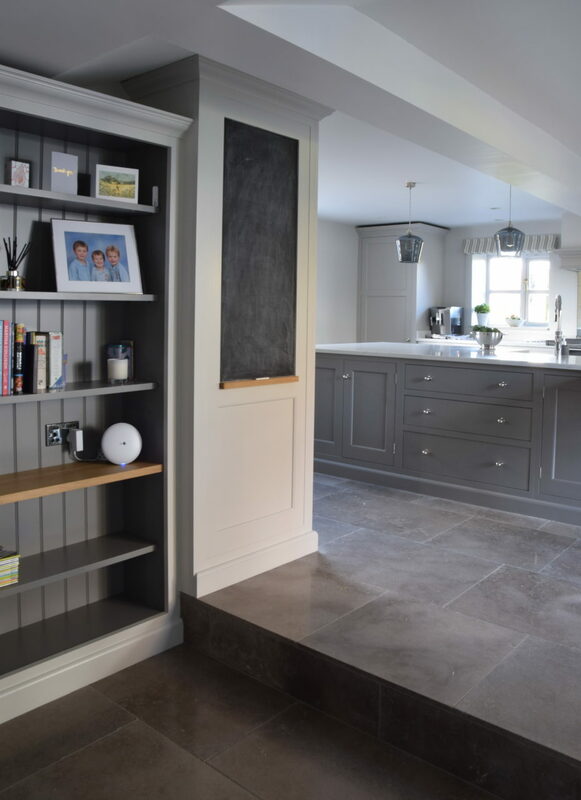 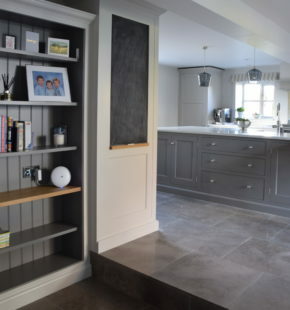 The Lucca flooring ties all of these colours together being a warm grey and the Teltos Carrera Onyx worktops add light to the entire room, the fact that this is a traditional cottage with tiny windows and not a huge amount of daylight, it is amazing how much light and how spacious this room feels. 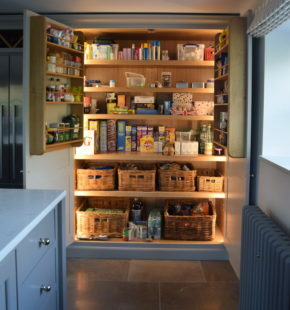 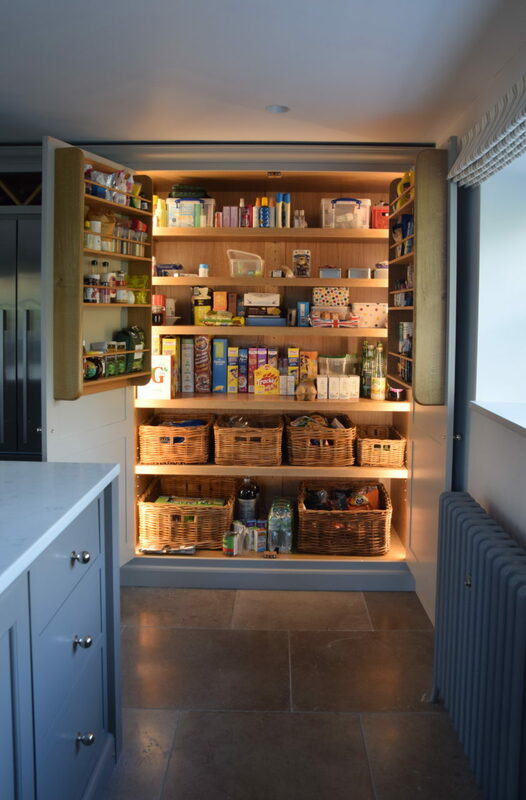 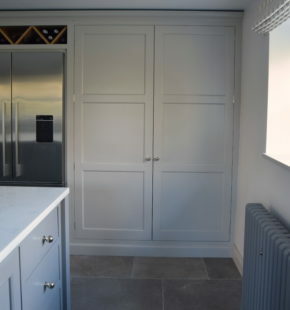 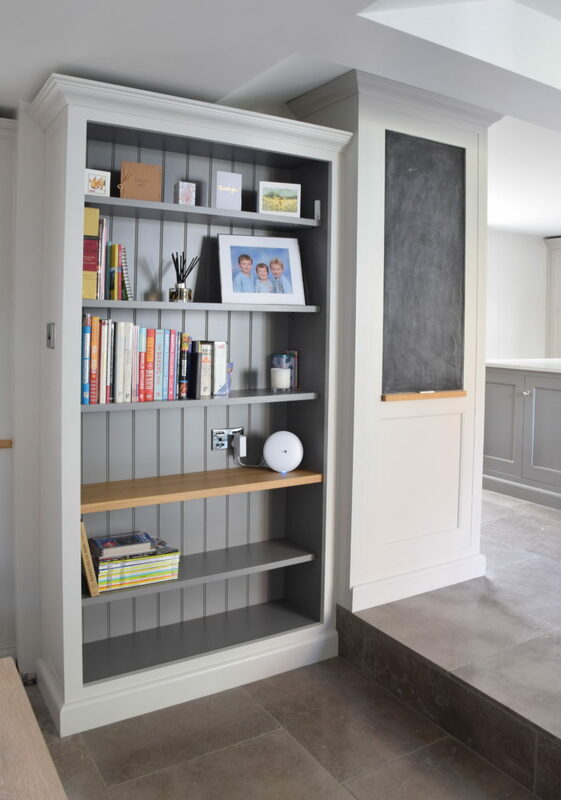 A request by the client was for a large food storage area as there is no pantry, so Nick designed an immense double door larder cupboard that house’s everything from cereal to celery and requires no bending down or rummaging around in to find exactly what you are looking for.